Immediately before entering the Commonwealth Parliament, Stan Collard was a locomotive engine driver hauling six-header diesel coal trains, two kilometres long and 10 000 tonnes gross weight, from central Queensland to export facilities near Sarina. Earlier in his career with Queensland Railways, in the early 1960s, he had been based at Cloncurry, where he became secretary of the local branches of the Australian Federated Union of Locomotive Enginemen and the Combined Railway Unions—at that time an impeccable background for a future in the Labor Party. But Collard's parents were dairy farmers, Country Party through and through, and clearly influenced his political direction. His parents, William Alfred Collard and Edina Annie Irene Whittington, née Cooke, were married on 2 March 1935 at Maleny, a small town in the Blackall Range behind the Queensland Sunshine Coast, where William had taken over the family dairy farm, originally purchased by his father in 1918. Stanley James, the eldest of three sons, was born at the Maleny Soldiers' Memorial Hospital on 25 March 1936. Primary school at Maleny, followed by two years at the Nambour State High School, was the sum total of his formal education, after which he helped his father on the farm for a while before moving to Brisbane and joining the Queensland Railways as a trainee engineman. While in Brisbane Collard met Gloria Pearl Auld, a schoolteacher, and the couple married at the Albert Street Methodist (now Uniting) Church, Brisbane on 3 May 1958. They moved to North Queensland for one year, helping to run a Methodist Church student hostel at Herberton. Collard was a lay preacher with the Methodist Church, like his father, and in later life served as secretary of the Brisbane presbytery of the Uniting Church. Collard rejoined the railways in 1961 and the family, then with two young children, moved to Cloncurry where their third child would be born. By now Collard was taking an active interest in politics, having joined the local branch of the Country Party in 1959. When, prior to the 1966 federal election, Robert Katter senior won the party's preselection for the seat of Kennedy (which included Cloncurry), Collard was appointed his campaign director and continued in that role for the following three elections, as well as becoming party secretary of the Kennedy Electoral Council from 1967 until 1976. There was a railway strike during the 1966 election campaign and, while running Katter's campaign on one hand, on the other he organised the Cloncurry end of the strike from the Country Party's campaign office—a story that Katter dined out on for many years. Collard and his family moved to Sarina in 1971, where he became one of the first locomotive drivers of the giant six-header coal trains running between the Goonyella, Peak Downs and Saraji mines to port facilities at Hay Point. In 1976, in his first speech to the Senate, he described this railroad as 'one of the most efficient operations in Australia'. Collard's mounting outrage at what he saw as the Whitlam Labor Government's destruction of the Australian economy and its increasing interference in states' rights, together with the announced retirement of National Country Party (NCP) Senator Ellis Lawrie at the next election, prompted him to seek preselection for the Senate. One of thirteen people seeking NCP nomination, Collard secured the party's third position, which placed him sixth on the joint NCP/Liberal Party Senate ticket for Queensland. As soon as the double dissolution election for 13 December 1975 was announced, Collard resigned from the Queensland Railways, as section 44 of the Constitution barred the election of anyone holding 'any office of profit under the Crown'. He was in limbo for more than a month, as the final Senate result for Queensland was not declared until the end of January 1976. Over that Christmas/New Year period, he and his wife travelled to England: 'When I had to fill out the outgoing passenger card and it came to the "usual occupation" section, I said to the Customs officer "You're not going to believe this, but a few weeks ago I was a Locomotive Engine Driver, I am currently unemployed and when we return I could well be a Senator" '. Which he was: he took over Lawrie's office in Rockhampton, as he saw one of his roles as staying close to central and northern Queensland. He sold his house in Sarina and moved the family to Rockhampton at the end of 1976. In the Senate Collard spoke of the effects of isolation on rural areas and sought improved transport and communications. In 2008 he recalled: 'Communications—or lack thereof was the bane of people living away from the major centres'. The quality of electoral representation also mattered. He was opposed to the concept of 'one vote one value' and argued for an extra ten per cent weighting for country electorates: 'if a constituent does not have the same access to his elected member as others have to theirs, that constituent's vote is devalued'. In 1983 Collard spoke strongly in support of the Hawke Government's legislation to increase the size of the Parliament, an issue on which the newly-labelled National Party of Australia broke with its Liberal coalition partner. He observed that 'the electorate now has a far greater expectation about what it should receive by way of representation from its elected representatives'. In 1985 he was troubled by misconceptions that farmers lived 'off the fat of the land' and sought government handouts whenever times were tough: 'To my knowledge there has never been any fat of the land on which rural producers could live. They have got what they worked for, and they have worked damn hard. Rural producers have never asked too much of the Government'. If we really want to make people second class citizens we can do no better than to deny them what the majority of the people of Australia not only take for granted but also look on as their natural right ... Ridiculous as the proposition might sound, as the twentieth century and technology progress our isolated people are becoming more isolated. 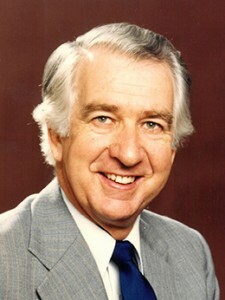 Collard was also reliable, which contributed to his selection as National Party Whip and Deputy Leader in the Senate from 1981 to 1985, before becoming its Senate Leader from 1 July 1985 until his departure in July 1987. In the post-Fraser years he was appointed to the Coalition shadow ministry with responsibility for veterans' affairs (1984–85) and arts, heritage and the environment (1985–87). As environment spokesman he believed that there was no 'necessary dichotomy between conservation and development' and remained wary of what he referred to frequently as the 'lunatic fringe of the conservation movement'. He advocated the use of sugar-based ethanol in cars, was sympathetic to the development of nuclear energy and believed that oil drilling on the Great Barrier Reef should not be ruled out. The thumping election victory by Labor under Bob Hawke in March 1983, and its re-election in December 1984, prompted considerable debate within the state and federal National parties as to the wisdom of being in the Coalition while in Opposition. The debate intensified when the Queensland National Party under Premier Joh Bjelke-Petersen won a stunning election victory on 1 November 1986, enabling it to govern in its own right. Collard was an unapologetic supporter of maintaining the Coalition in Canberra, which guaranteed an interesting contest when the National Party's Queensland Central Council met in Hervey Bay on 27 February 1987 to preselect its candidates for the anticipated half-Senate election. Collard survived and was placed in the number two position—a safely winnable spot—behind the Premier's wife, Senator Florence Bjelke-Petersen. The same central council meeting carried a lengthy motion which launched the ill-fated Joh for PM campaign—'That the National Party of Australia (Qld) fully supports the move by Sir Joh Bjelke-Petersen to attain the Prime Ministership so that he can put in place an anti-socialist Federal Government' with policies 'which are so patently necessary to save this Nation from the economic and political ruin into which the Hawke Socialist Government is plunging us'. The resolution called on the federal Leader, Ian Sinclair, to immediately withdraw the parliamentary National Party from the Coalition. If he refused, the Queensland delegation to the meeting of the party's Federal Council at the end of March would move for the immediate termination of the Coalition and, if that also failed, the Queensland Central Council would instruct its federal parliamentarians to quit the shadow ministry and any joint policy committees. Sinclair refused to break the Coalition, and Federal Council, while supporting the principle that the National Party be 'a separate identity whilst in Opposition' recognised that 'there are problems in an election year' and left the final decision 'as to whether and when' the party withdrew from the Coalition in the hands of the federal parliamentary party. The Queensland party's state management committee then proceeded, on 10 April, to instruct its federal parliamentarians to withdraw from all Coalition activities in Canberra. They complied, with Collard and fellow Queenslander Ray Braithwaite (MHR Dawson, Qld), the shadow spokesman for trade, replaced in the shadow ministry by Liberals under a renegotiated Coalition agreement. The new agreement was short-lived, falling apart on 28 April. In the eyes of some in the Queensland National Party hierarchy, Collard had already committed heinous crimes by continuing to publicly support the Coalition, even though he complied with the management committee directive. As early as 16 March, he was quoted in the Australian, casting doubts on the degree of support for the 'Joh for PM' campaign: 'Did it ever have much? I don't think there's much support for it down south. I've been talking to people down there, a lot of people, including media people, and I don't think it's going anywhere'. He told the Rockhampton Morning Bulletin the collapse of the Coalition was a 'tragedy', adding: 'I think the public always exacts retribution from divided parties'. In its editorial the paper praised Collard for 'his forthright statement' and argued that 'the Queensland machine has done a lot of damage to a cohesive opposition unit at a time when it had the Labor Government on the ropes'. Worse than this, in May Collard circulated a letter in which the former Queensland Minister for Primary Industry, Vic Sullivan, lamented the turmoil in the conservative parties in Canberra and urged that the Coalition be maintained. Collard well understood the dangerous waters he was treading so far as the Queensland organisation was concerned. He took care to comply with its directives, quitting the shadow ministry and choosing not to attend joint party or policy committee meetings. He was re-endorsed for the next election. Prime Minister Hawke, having fondly farewelled Queensland Premier Joh Bjelke-Petersen from a Premier's Conference in Canberra, dashed off to Yarralumla and received the Governor-General's assent for a double dissolution election, based on the twice-rejected legislation for a national identity scheme, the Australia Card. The election, to be held on 11 July 1987, was not due until later that year or early 1988, but Hawke could not resist the opportunity to capitalise on the chaos in the non-Labor ranks. On 5 June 1987, the last day of sitting of the Senate for the 34th Parliament, Collard gave a valedictory speech praising retiring senators across political lines for their contribution to the democratic process over the years. Little did he know it would be his last speech and his last appearance in the Senate as an elected member of the Commonwealth Parliament. As it was to be a double dissolution election, the Queensland National Party decided to completely re-open its Senate nominations. Collard had to re-nominate for preselection against thirteen candidates. Eight were selected by the central council at a meeting in Brisbane on 13 June, with Flo Bjelke-Petersen heading the ticket. The number two spot went to former head of the federal Treasury, John Stone. Collard, the federal party's Senate Leader, had thought he might be relegated to the third position, but was shocked to find that he was completely dumped from the ticket. His friend and MHR for Kennedy, Bob Katter senior, was equally surprised, telling the ABC: 'I haven't recovered yet from the shock of losing Stan Collard from the Senate'. Collard was reserved in his reaction, saying: 'The only emotion I am allowing myself is disappointment'. That changed after the Queensland National Party president, Sir Robert Sparkes, informed the ABC that the central council: 'took the view that on the basis of the usual criteria of commitment to party solidarity, ability to contribute in the Parliament, Stan didn't measure up as well as those that were put on the ticket ahead of him'. Yet, over the 34th Parliament, Collard had been present on more days than any of the other four NPA senators, had attended more divisions and divisions in committee, asked more questions without notice and made more speeches than his colleagues. No-one who has known me over my twelve years of Parliamentary service could say I did not put in the required effort—and more! The charge that I failed to honour agreements given at Hervey Bay is false ... The charge of treachery is equally untrue. If I had acted out of pure self interest the charge might have had some justification. Anyone who cares to think about it will soon realise that what I did could not have been in self interest. In fact, the opposite is true. Collard was determined not to let disappointment or anger get the better of him, although when packing up the Rockhampton office he remarked: 'It was awful to be proved right'. With time on his hands he took a greater interest in his local community and in the family farm, which he and his brother, Reg, now owned. He was kept busy as president of the CSR Hinkler Bicentennial Air Race Committee (since 1985), which was organising an air race to be staged over nine days around Queensland, and finishing in Brisbane at the opening of World Expo 88 on 30 April 1988. The race, which attracted more than 130 aircraft, celebrated Bert Hinkler's solo flight from England to Australia sixty years earlier. Collard was also chairman of the Central Queensland Life Education Committee and in 1988 was invited to join the Queensland board of Life Education. He became state president, and was a member of the Life Education national board for ten years from 1996. The following year he became state president of Lifeline Queensland, a post he held for three years; he also served as deputy chairman of the Library Board of Queensland from 1996 to 1999. Collard stayed an active member of the Queensland National Party and maintained many friendships with state and federal parliamentary colleagues. Perhaps in an attempt to heal wounds, the party organisation awarded him honorary life membership in July 1993. He remained philosophical about his political demise: 'Although my senatorial career ended rather ignominiously, it was a privilege to have served our great country in such a capacity, and the experience gained served me in good stead in the community activities that I undertook subsequently'. These activities, along with his political career, were recognised in the June 2014 Honours list, when Collard was awarded a Medal of the Order of Australia 'for services to politics, and to the community'. Information provided to the author by Stan Collard, 25 April 2008; 'Profile of a former senator: Stan Collard', Federal Gallery, Sept. 1994, pp. 6–7; National Party of Australia, 1983 Federal Election Year Directory; CPD, 25 Feb. 1976, pp. 236–9. CPD, 25 Feb. 1976, pp. 236–9, 7 May 1987, p. 2478, 18 Nov. 1993, p. 2871, 19 April 1985, p. 34. CPD, 25 Feb. 1976, pp. 236–9. National Leader, Autumn 1987, p. 6; Speech by Senator Stan Collard, Nationals in the North Conference, 20/21 Sept. 1986; CPD, 3 Dec. 1985, pp. 2794–6; Courier-Mail (Brisb. ), 22 Nov. 1976, p. 9; Sun-Pictorial (Melb. ), 8 April 1978, p. 21; SMH, 22 May 1979, p. 9. Paul Davey, The Nationals, Federation Press, Syd., 2006, pp. 292, 299; Age (Melb. ), 16 March 1987, p. 1; 'Central Council; Supports Sir Joh', National Outlook, March 1987; Paul Kelly, The End of Certainty, Allen & Unwin, St Leonards, NSW, 1994; Minutes of the National Party of Australia Federal Council Meeting, Canberra, 27–29 March 1987; Transcript, ABC Radio, 'PM', 14 April 1987; Australian (Syd. ), 16 March 1987, p. 1; Morning Bulletin (Rockhampton), 30 April 1987, pp. 1, 8, 12; Letter, Vic Sullivan to National Party Federal President, Shirley McKerrow, 23 March 1987, National Party of Australia Archives, Charles Sturt University, NSW; Sunday-Mail (Brisb.) 26 July 1987, p. 1. Davey, The Nationals, p. 293; CPD, 5 June 1987, pp. 3689–91; Sunday Mail (Brisb. ), 14 June 1987, p. 1; Transcript, ABC Radio, 'AM', 16 June 1987; Daily Telegraph (Syd. ), 15 June 1987, p. 2; Transcript, ABC Radio, 'World Today', 17 June 1987. Stan Collard, Newsletter to Queensland National Party Branches, 21 July 1987. Courier-Mail (Brisb. ), 14 July 1987, p. 5; CPD, 2 Nov. 1987, pp. 1550–1; Information provided to the author by Stan Collard, 25 April 2008; Telephone interview with Stan Collard by the author, 19 Oct. 2008. This biography was first published in The Biographical Dictionary of the Australian Senate, Vol. 4, 1983-2002, Department of the Senate, Canberra, 2017, pp. 173-177.